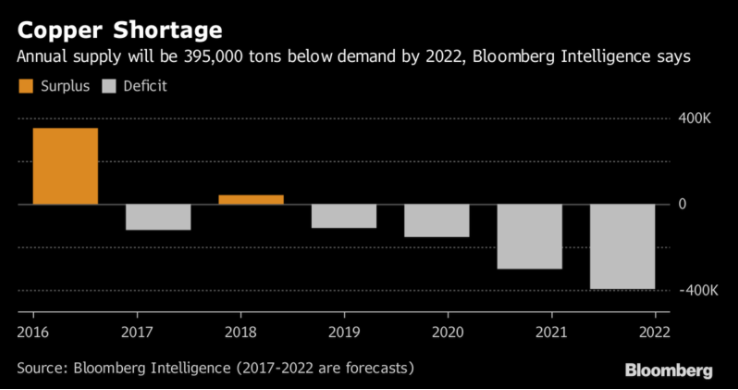 This looming undersupplied market situation has some analysts forecasting a return to US$4/lb copper over the coming years. However, trying to profit from higher copper prices as an investor is often tricky; many of the world’s largest copper producers are diversified metals producers which only derive a fraction of their annual revenue from copper production. A pure play copper producer with a clean balance sheet in a safe jurisdiction is the ideal way to play the looming global copper supply/demand imbalance. 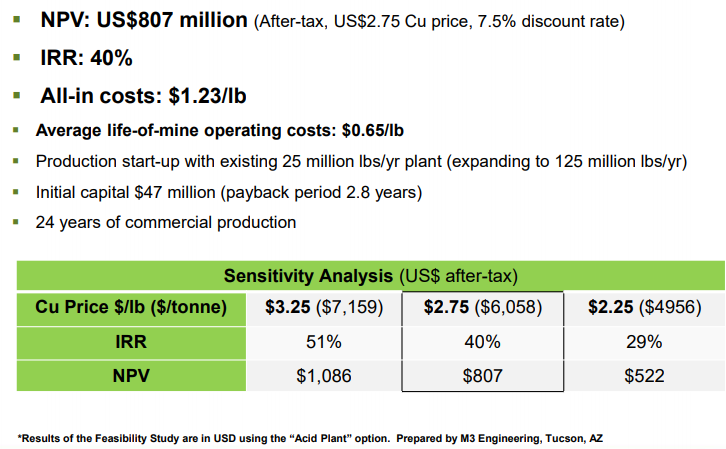 What if you could invest in a copper miner that will be in commercial production in less than a year at all-in costs of US$1.23/lb? In addition, this company will produce more than 2 billion pounds of copper over a 24 year mine life and it has completed a Feasibility Study which indicates a post-tax NPV (7.5% discount rate) of US$807 million using a conservative US$2.75/lb copper price. This company also has a current market cap of less than US$150 million. After a strong start to the year which saw Excelsior shares more than double, a weak market for mining stocks and a recently announced US$26 million financing have dragged shares back down close to C$1.00. This could be an opportune time for investors to get into Excelsior before the company achieves several major milestones in 2018 (including entering commercial production). Commercial production set to begin within 12 months (Q4 2018). Low permitting risk due to low population density in the area, low water use, and substantial community and legislative support (public review period ends in January 2018 and final federal permit is expected to be received shortly thereafter). Lower costs: $1.23/lb all-in cost, average life-of-mine operating cost of $.65. The in-situ recovery method which will be used is an environmentally sound, process of extracting metals from deposits. Excelsior CEO Stephen Twyerould has over 30 years of industry experience including many years of operational mine experience. 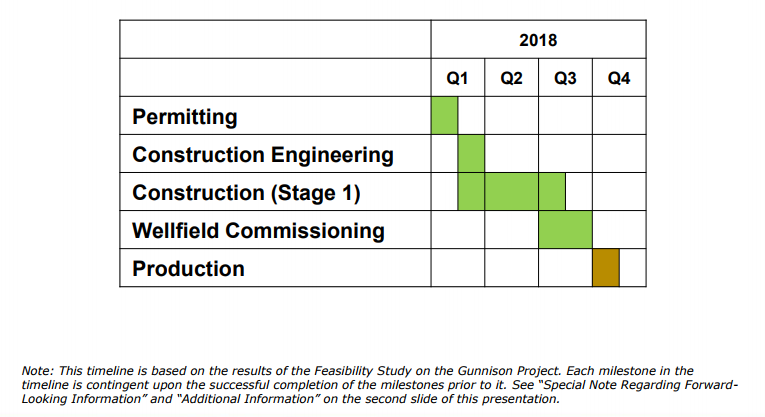 As Excelsior advances the Gunnison Copper Project against a robust copper price backdrop over the coming years I expect an upward repricing of its share price, potentially to multiples of its current price. The author is long MIN.TO shares at the time of publishing and is therefore biased. Do your own due diligence, it’s your money and your responsibility.